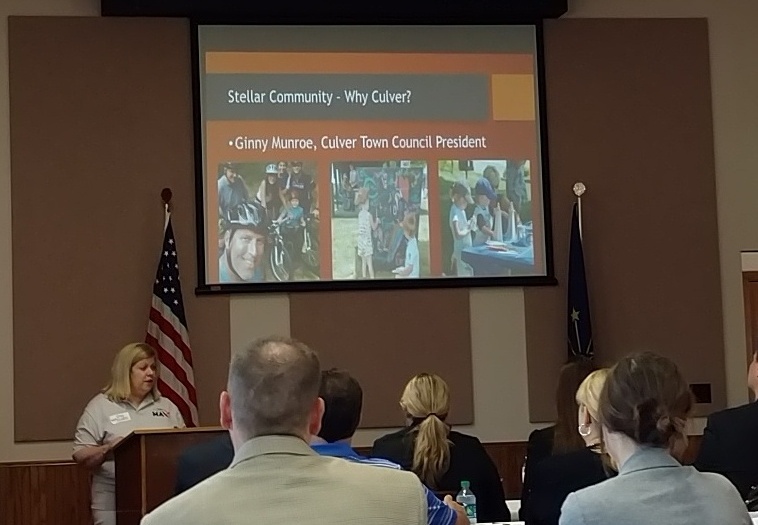 Thursday, July 21st, Culver had their evaluation from the various state agencies on their Stellar Communities application. I have been involved with this project from the beginning and on Thursday I not only served as a golf cart driver, but also as a presenter at a couple of the sites. For those of you that might be interested I thought I might give my impressions of the day and a brief synopsis of what happened. Thursday was the culmination a lot of work but it all came together at 9:00 at the Depot in the park. Twenty representatives from OCRA, IHCDA, IAC, INDOT, Serve IN, IOTD, ISDH, and DNR arrived at the Depot along with many of our local regional partners. Representatives from Marshall County, City of Plymouth, Argos, Bourbon, MCEDC and many others showed up to show how important this was not just to Culver but to our surrounding area. Blueprints on each of the seven projects were given to the attendees. These were the boiled down bullet points from the overall investment plan that was submitted last month. Mark Damore Jr. then made introductions and briefly warmed up the crowd before introducing the Town Council President, Ginny Munroe, who gave a speech on what Culver to the Max meant, how it evolved, and a bit of her personal story on coming back to Culver. That was followed by Jonathan Leist giving a very brief synopsis of the projects. The “Brexit” vote has me thinking about voter responsibility. I honestly only knew about Brexit peripherally until about a week before the vote. I hadn’t paid a lot of attention to it for a couple of reasons: 1) I had no say, and 2) I didn’t really see that it was going to affect me much. A 20/20 hindsight look at the turmoil in the stock market and how that affects my 401(k) negates #2, but in reality, #1 was still valid. No matter how much concern I had placed on it, I wasn’t in a position to do anything about it. I can’t even name one British citizen I know that I could have gone up to and said, “Look here Old Chap, you need to do the right thing because this decision is going to affect the whole world!” Not that I even thought that. I had pretty much trusted those in the know to have factored either result into the markets and that the outcome would be a blip outside of Great Britain. 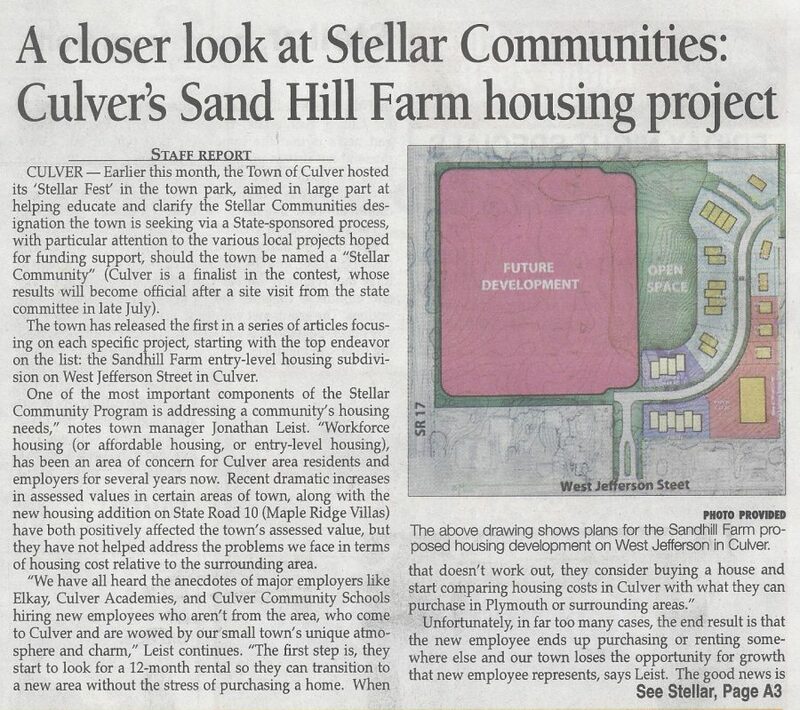 The Sand Hill Farm project that has been discussed extensively here is part of the Stellar Communities application that Culver has submitted. 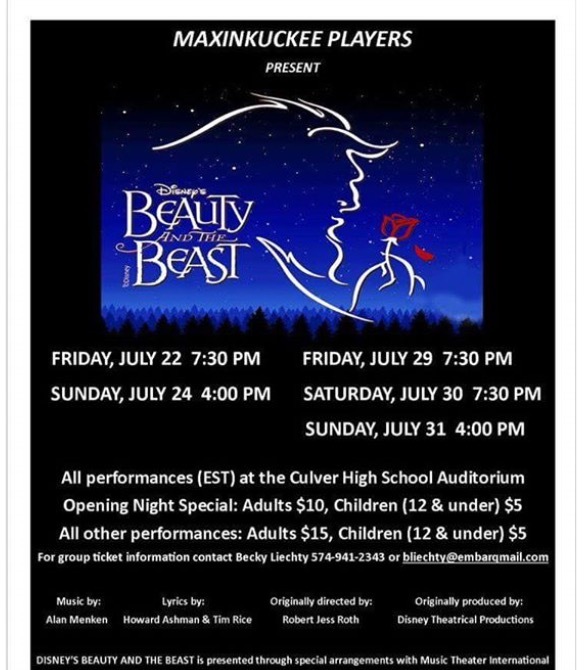 I would assume most of you reading this are aware that Culver has made the first cut and is one of the three finalists for the 2016 award. 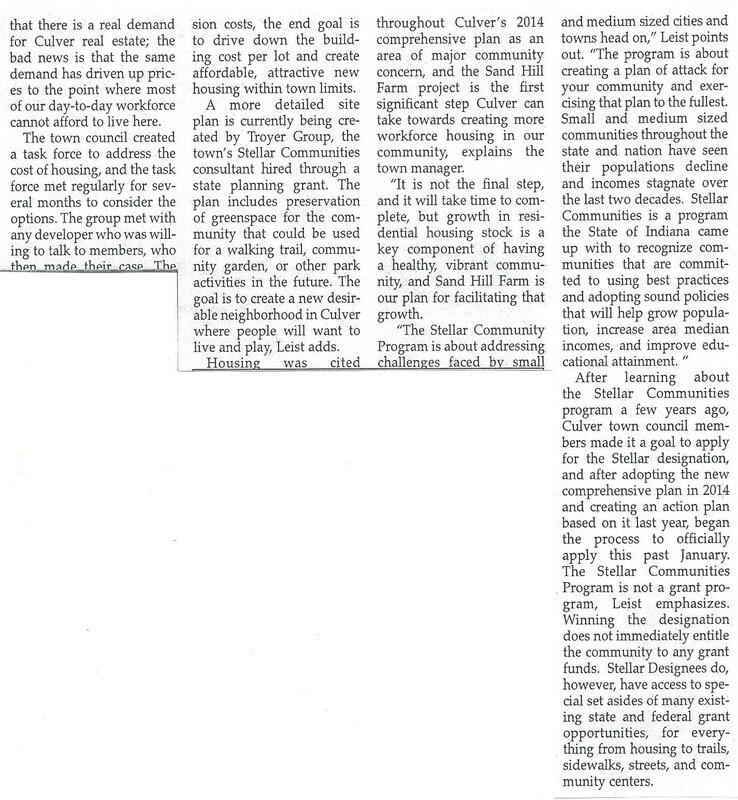 As part of the public education process, an article appeared in the Pilot News (see right – The continuation of the article can be viewed here.) on yesterday. Jonathan Leist, Culver Town Manager, did a nice job describing what has brought us to this point. The Troyer Group has completed some preliminary sketches based on my preliminary vision of phasing for the project. One of those is included in the article to the right. They have also included some preliminary sketches of the potential housing which I will share here when I get the chance. As part of this process, I appeared before the Plan Commission in May and received their blessing on annexation of the eastern half of my property. At the following Town Council Meeting, on June 12th and formally requested voluntary annexation. They agreed to this and have begun that process. There will be a public hearing on the annexation in the near future. More on that here soon too.